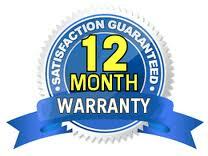 Laptop Screen Repair Kogarah offer extremely cost effective rates and begin with a no obligation quote. We provide affordable, onsite same day laptop screen replacement service to following areas. Laptop Screen Repair Kogarah repairs major brands including Dell, HP, Toshiba, Compaq, Asus, Acer, Apple Macbook, IBM Lenovo, Sony Vaio, Gateway and Samsung and many more. Just contact us today with your specific laptop model and we will provide you with an obligation free quote. Call us at 0402 738 038or email us at info@laptopscreenreplace.com.au if you have any questions, or wish to arrange an appointment to have your screen replaced by Laptop Screen Repair in the Kogarah region.